Want to cook vegan food at home but don't know where to start? Think vegan food is expensive? Unsure where to find the ingredients? Think again! Our challenge to you is to go vegan 1 day a week. 1 day. 5 ingredients. It's that simple. Don't let anyone tell you vegan food is bland, boring or complicated. This book is bursting with over 100 exciting, all-vegan, low-cost and low-ingredient recipes for the time-poor cook. You'll find quick and easy breakfasts, simple and healthy light meals, classic dinners and indulgent desserts, plus so much more. 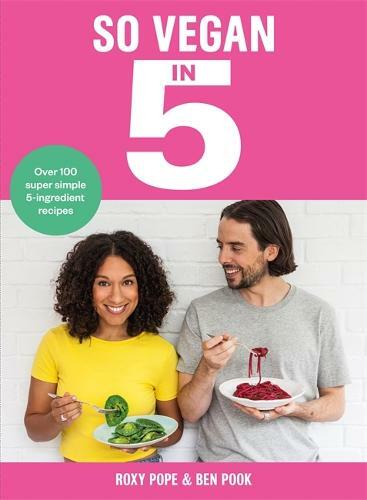 As well as stunning everyday recipes and foodie tips, the book also contains helpful advice on how to live a more sustainable life. 1 day. 5 ingredients. We know you can do it.